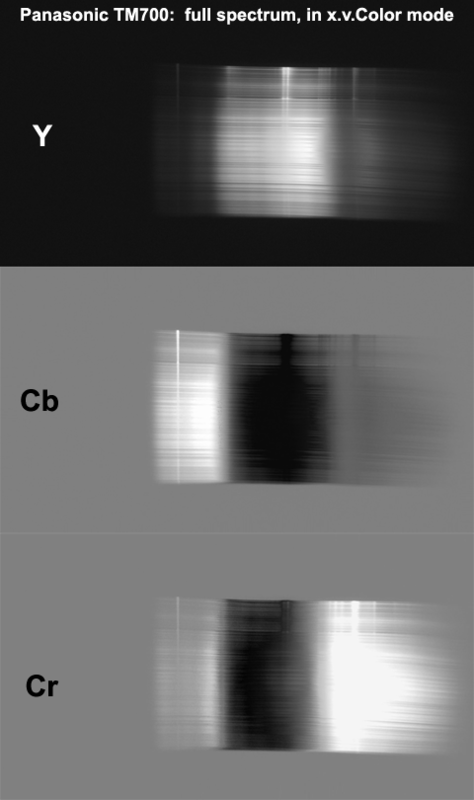 Video showing plot of recorded (Cb, Cr) range, one frame for each Y' value from 0 to 255. 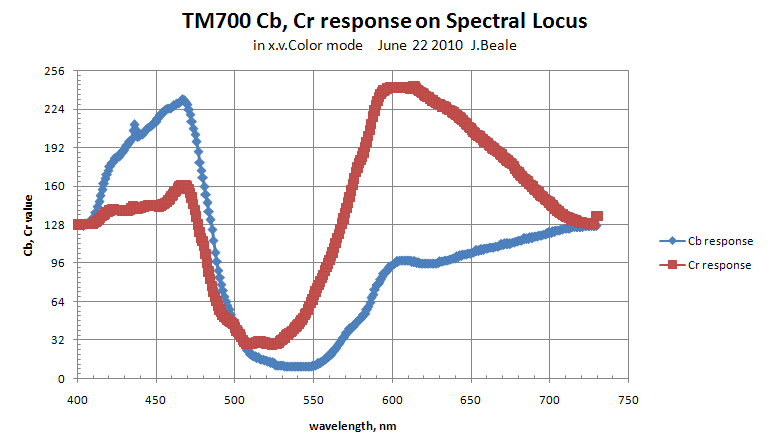 I made a crude measurement of the TM700 Cb and Cr components (the "U, V" in the H.264 YUV color format) in response to pure color (single wavelengths) over the visible range, cased on the above spectrum image frame, see below graph. The measured (min,max) range is Cb: (10,232) and Cr: (28,242) for fully saturated input colors over the full visible spectrum. The normal limit in YUV video encoding is (16, 240). Note, this is a pretty crude measurement, so don't take it too seriously. The blip in the Cb curve at 436 nm is a mercury line from the CFL lamp; not an issue with sensor response.